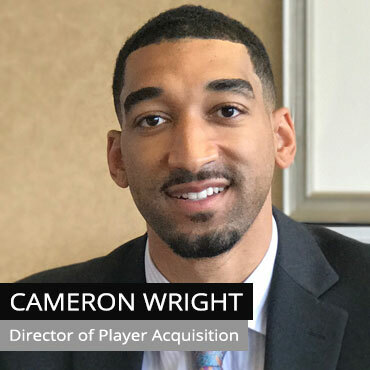 Cameron Wright has been successful during each stage of his basketball career. As a four-year varsity player at Benedictine High School in Cleveland, Cameron scored 1,655 career points, was a three time all-state selection, and won the Ohio Division II State Player of the Year Award in 2010 during his senior season. He was ranked as a top 100 recruit in the nation and went on to play collegiately at the University of Pittsburgh, where he was a two-year starter. As a team leader, Cameron averaged 10.5 and 9.3 points per game during his junior and senior seasons respectively. He was a four-time academic all-league honoree while he earned his B.A. in Marketing and Human Resources Management. Following graduation, Cameron played professionally overseas for two seasons. For Verus, Cameron coordinates NBA-style workouts specific to each client’s needs, trains players, and handles day-to-day client needs.